Blue Pie Records | DJ Central Records are looking for a self-motivated and driven digital media sales representative to work with our team in the branded entertainment division of the company. 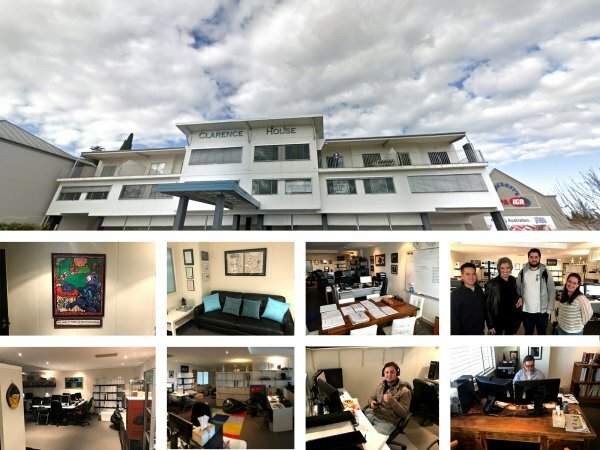 Focused on the international media markets and based in our Moss Vale office in NSW, Australia, the role will involve selling our branded entertainment and production services to the global market place. You will contact potential clients for new sales, present the products and services and most importantly close the deal. •	Grow the clientele base, identify new business and manage established client accounts through an inventory management system. •	Maximize opportunities for the development and growth of the company in the branded entertainment sector. •	Proactively seek and implement processes that will support the continued growth of the business sales segment. The role will present the opportunity to work from home with phone and internet expenses covered for the successful candidate. The role will also offer travel opportunities and the chance to work with a support team who will help manage and provide you with business prospects. We envisage the successful candidate earning over $100,000 a year in commissions. •	A comprehensive knowledge of needs-based selling. •	Proven success increasing sales in a competitive marketplace. •	Business to business experience in a phone based or client faced environment. •	Understanding of inventory management systems and/or online advertising processes. •	Excellent communication and presentation skills, both written and verbal. •	An assertive demeanor, with a strong goal-orientation and self-motivation. •	The ability to work unsupervised, multi-task, handle pressure and work under deadlines. •	Our Moss Vale office in NSW, Australia is located close to the train station, only a 5 minute walk away. It is also accessible directly to Canberra. •	Experience in the entertainment industry. •	A wide and varied work base with a diversity of tasks, this means you will get to learn more on the job. •	Our work environment is pretty relaxed and music plays a dominant role in what we do! •	We occasionally have gigs in which we’d be happy for you to attend and have CD’s a plenty at your disposal. •	Full or Part-Time hours available for the right people. •	Great entry-level position / hands-on experience within the music industry. •	Blue Pie is a small and growing digital record label and content production house. The company has a network of over 120 distribution platforms that we code content for and or supply content to. •	Blue Pie Records has a roster of over 10,000 artists. With a core of 6 main artists. As these artists grow, so do our own achievements and ability. •	Blue Pie provides back office management systems and services to over 400 record labels worldwide.